The only thing standing in the way of you and a comfortable plane ride is chatty Cathy on your right and the man eating pickled eggs on your left. Good thing the flight is only 9 hours. Tight, restricted clothing is the fastest way to feel claustrophobic in a flight. Instead, wear pieces that are relaxed, like sweat pants and a t-shirt. You don’t want to pass out mid-flight because your skinny jeans are restricting your blood flow. So, what could be better than breezing through airport security and slipping off your shoes right as you get to your seat. Worried about smelly feet? Sprinkle a little baby powder in your shoes before you head to the airport. Believe me, those few inches of legroom definitely make a difference! Plus after you’ve taken out everything you need, like your headphones, lip ice and cellphone, what else could you need? Or, if you don’t want to look completely stupid, you can use a normal pillow. 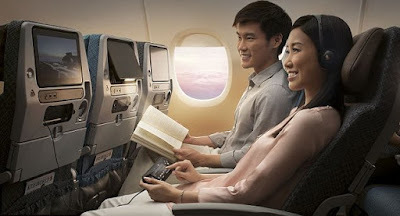 Airline seats can sometimes make your lower back work overtime. The fix: request a complimentary pillow or blanket and tuck it behind your back to support your natural arch. Instead of waiting for the flight attendant to roll by with the cart, plan ahead. Pack your own snacks and make sure they are healthy and not so greasy that they make you feel sluggish and bloated. Those tiny water bottles aren’t going to cut it. Save yourself the trouble and carry your own and fill it up once you get on board. A light-blocking sleeping mask, or a pair of noise-canceling headphones should do the trick and send the message loud and clear that you do not want to be disturbed. You’ve checked your bag, sailed through security and got to your gate on time, now all you need is to have a comfortable plane ride! Need a shuttle service to get you to or from Cape Town International Airport? Book now with Airport Shuttle and we can get you to your destination safely and comfortably. If you’re a traveler who likes to mix it up a bit when you’re adventuring the world, then these offbeat places to stay at should interest you quite a bit! Here are six weird yet wonderful alternatives to generic hotels. This vintage trailer has been renovated to rent out for about R1600 a night, and guess what its only 5.5metres in length! Even though it’s small, it’s really awesome. 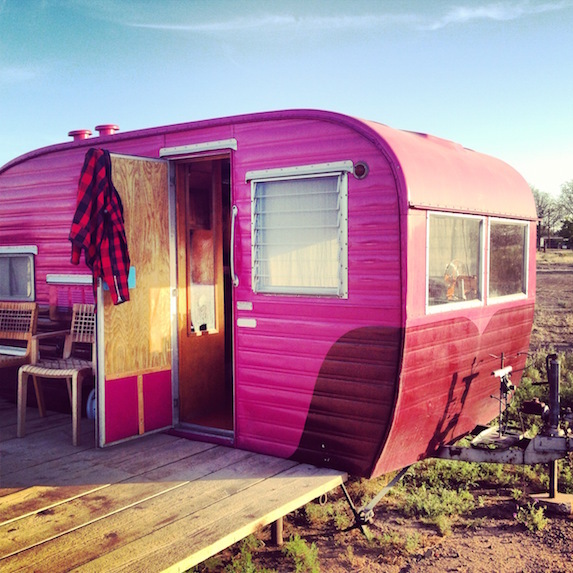 It is bright pink in colour and located in a desert campground filled with similar trailers, tents and teepees. So you’re bound to meet some eccentric and interesting people! 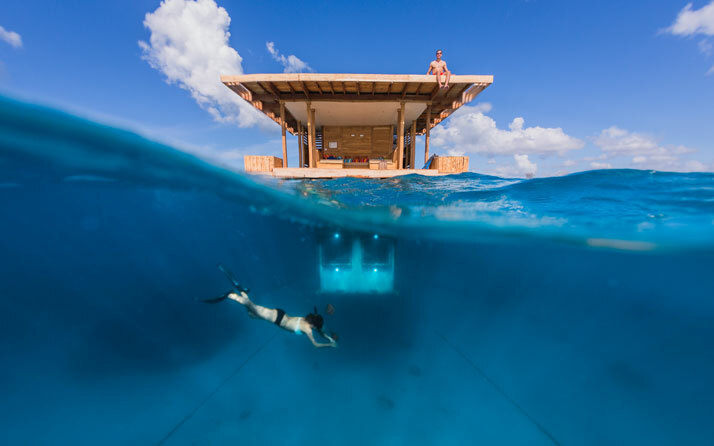 Booking a room at this floating structure should be on your bucket list. It is a cool three-level bunk BELOW the sea, which provides you with amazing views of the ocean life, such as fish, squid, octopuses and many other sea creatures. The cost per night may put a dent in your wallet at about R20 460 a night. Are you interested in seeing the Northern Lights? 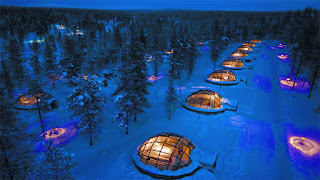 This amazing glass dome at the Kakslauttanen Resort will give you a front seat to all the action! The futuristic igloo will cost you about R5300 a night – make sure to book in at the peak season for the lights. Have you ever wanted to sleep in a bubble? Well, down in France you can book a night in a see-through pod, somewhere throughout the countryside. 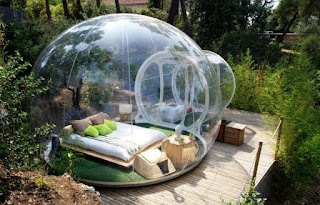 The bubble is tiny at 3.9 metres, but how many people can say they’ve stayed in a bubble and watched the stars for just R1700 a night? 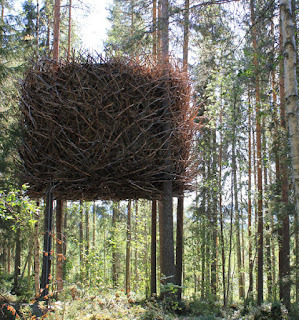 Majority of us had treehouses growing up, but this hotel takes it to the next level! The Treehotel in Sweden is designed to look exactly like a birds nest; at 180 square feet it can accommodate a family of four. It may be small, but it has separate bedrooms, a bathroom, living room and even a retractable starcase, all for R7500 a night and R680 extra per kid! Get in touch with your inner James Bond when you decide to stay in one of this cool, little hotel. These capsules are actually survivor pods that float on the Hague with hammock beds inside. How much will you pay? Just R955 a night. What will you pick? A vintage trailer, glass igloo or maybe a Swedish bird’s nest? Whatever it may be, make sure to add these kooky places to stay to your bucket list! Are you looking for a slightly more conventional place to stay? Well, book in at 808 Cartwright Corner and you wont be disappointed. With amazing views of the Mother City and a modern design, it is the perfect self-catering apartment in Cape Town. Taking time off to travel is a great way to relieve stress and get a break from everyday life. It’s a chance to see new things and explore, not to mention breathe some fresh air into our habits and routines. But, for a lot of people the thought of going on holiday can trigger the opposite effects. Many travelers say that they feel anxiety and stress when they have to think about all the different aspects of going on holiday. To help get rid of all that unneeded stress, read through these helpful tips. We don’t all know how to plan. 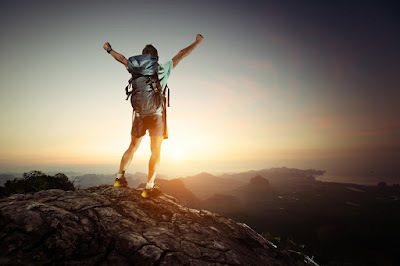 But it is the key to save precious time and money when you travel. Browse through user reviews to prevent unpleasant surprises and keep an eye out for any discount prices at hotels. Packing is sometimes a cruel and unusual punishment. To avoid the mistakes, make a checklist or use ours. If you have a fear of losing your precious luggage, take a picture of the contents so you have a record of what you’re taking, or read here, to learn how to avoid (or survive) lost luggage. A great way to avoid a headache is to simple arrive at the airport early, you never know who could be in front of you in the security check line. Avoiding rush hour and checking traffic beforehand is not a bad idea. When you arrive at your destination, of course you want to make the most of it. It is so easy to get caught up on visiting every tourist sight, every museum and restaurant, but exploring new things can be exhausting. Always remember that holidays are actually the opportunity to catch up on things you never have time for, like relaxing, taking a long bath and binging on bad TV. It can be so hard to switch off from work mode, but remember that your brain does need a break! Don’t bring your office with you, give your boss and colleagues warning that you are going and get all your work done before, so you don’t get phone calls and emails while you are away. Disagreement could be the cause of your holiday stress. Grumpy kids, a friend that drags you to boring activities or a partner that takes forever to get ready – these are all things that can contribute. The best solution is to compromise. Identify your differences and find out a peaceful resolution. It’s tempting to book your flight for Sunday and go back to work on Monday, but rushing to get everything done can cause even more stress. Take an extra day to adjust, giving you time to do laundry, unpack and reflect on the highlights of your trip. From boarding your flight on time to keeping everyone happy, traveling can get tense and stressful. These helpful tips can provide you with a fun and stress-free holiday! Need a break? Cape Town is the ideal place to travel to. 808 Cartwright Corner is a luxurious, affordable self-catering apartment with amazing views of the Mother City. Book online today or give us a call!